Walk your way to better health and enjoy the sights and sounds of the Zoo at the same time! Get Healthy Walking Club is new and improved for 2019. Enroll or re-enroll in the FREE Get Healthy Walking Club! Enjoy many new features including group walks, invitations to other special events, earn great prizes and more. For more information or to enroll please visit nortonhealthcare.com/walkingclub or call 899-6842. All memberships prior to 2019 are no longer valid. Please re-enroll NOW to continue the great benefits the club has to offer. Please note that twilight evening hours have been discontinued. Walkers please enter at the administration office (door to the right of ticket windows) to sign in with the receptionist. You MUST present your Norton Healthcare Get Healthy I.D. 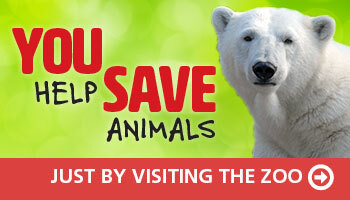 or a valid Zoo membership at the front desk to enter. All guests need to sign out with the receptionist and exit the Zoo no later than 9:30 a.m. The Zoo Walkers’ loop at the Louisville Zoo is a hard-surface walk through the animal exhibits that combines flat areas and hills with the sights and sounds of the Zoo for a challenging twist on the traditional “weekend stroll.” Directional signs keep walkers on track and provide special health tips along the way. To become a member of this free program, please visit here. Click here for the Walking Club Map for 2019. NOTE: Please be aware that Zoo exhibits, concessions, rentals, etc. are not open during morning Walking Club hours. You are not allowed to remain in the Zoo after 9:30 a.m. If you would like to the visit Zoo exhibits, you must re-enter at 10 a.m. when the Zoo opens for business with a paid receipt or Zoo membership at the Front Gate.